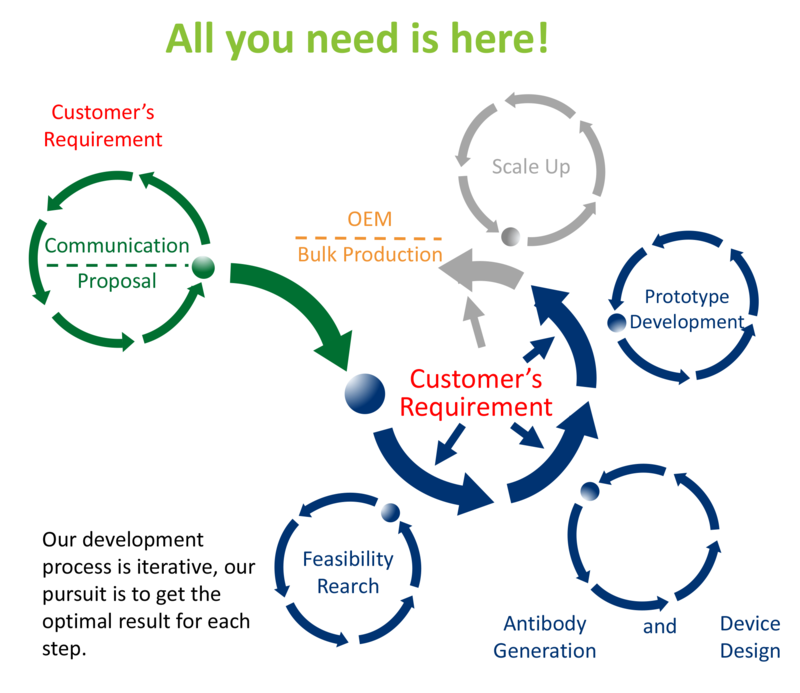 As a leading manufacturer and supplier in the area, Creative Diagnostics provides its customers with antibodies, antigens, hybridomas and various series of diagnostics products and developing services for diagnostics. Our clients come from more than one hundred countries, and many have become our long-term clients, some of which are global top 500 companies. In CDIATM test, we provide lateral flow chromatographic and ELISA tests. The lateral flow assays offer fast detection of critical components for use in point-of-care testing. There are 400+ such rapid test kits in inventory right now. Now we will share our experience and the powerful platforms with our customers. That is, we provide all the services ranging from the initial antigen generation to the final bulk production. All the customers need to do is raising an idea and pick up a good target, tell us what they want, then, we will do the rest.